Moving can be an exciting time – but it can also be stressful. Changing an address and setting up mail delivery with the post office to a new residence are steps every new Maricopan must take. New residents looking to establish delivery to their home must visit the local USPS Post Office to ensure they receive their mail, a post office spokesman said. Residents also have the option to complete the Change of Address form online at the USPS website for a $1 credit card fee. “We also still offer the hard-copy version of the Change of Address form – it is available at all Post Offices and can be submitted in-person or via mail at no charge,” Hass said. However, customers must fill out the delivery instructions form at the post office to establish mail delivery. Additionally, residents must bring their IDs and proof of residency along with them. Examples of proof of residency could be mortgage paperwork or a purchase contract, Hass said. 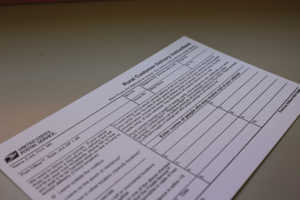 On the form, residents enter their new address information, as well as the names of people who may receive mail there. Hass said the policy is consistent with USPS postal offices across the nation. Residents moving into subdivisions managed by Home Owners Associations also have special instructions from the post office. “I understand that in many of the residential developments in Maricopa, the mailbox units were installed and are maintained by the HOAs, and customers should contact those organizations to obtain a key to their mailbox,” Hass said. A practice of the local post office is to recommend new residents moving into neighborhoods managed by HOAs to contact J&K Postal Works to have their mailbox re-keyed. “If the delivery box is Postal Service installed and maintained, the customer should visit the Post Office,” Hass said. 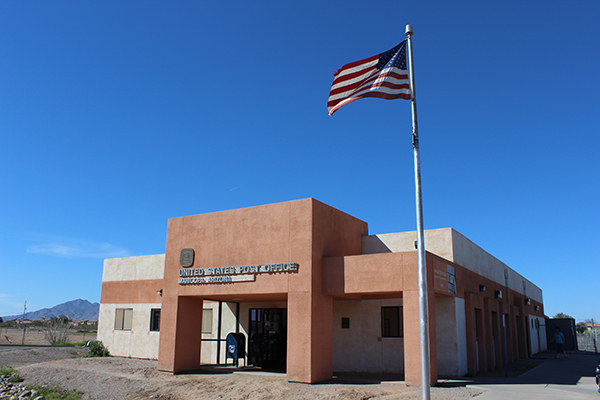 Postal customers with questions are encouraged to contact the Maricopa Post Office in-person or by phone at 520-568-2641, or call 1-800-ASK-USPS.